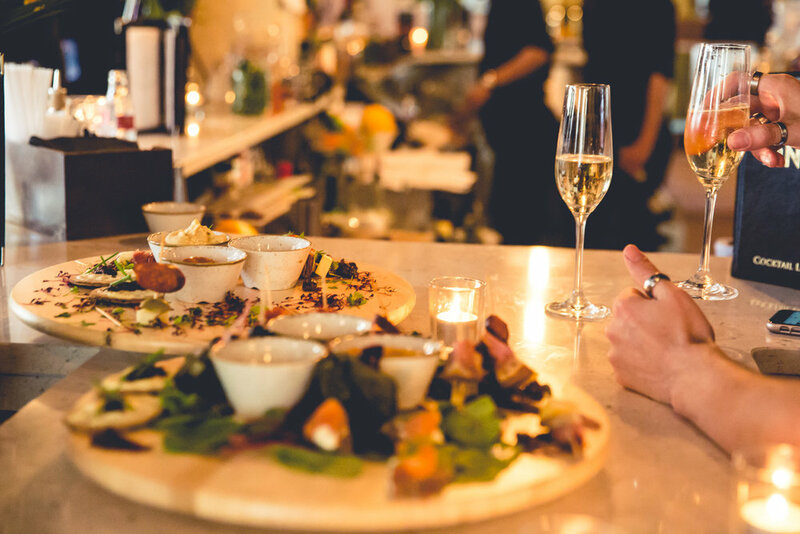 Join us at Vino Vino and enjoy the festive season with seasonal cocktails and interesting wines, complemented by our delicious Artisan sharing boards and hot bar plates. Cosy up on our heated, candlelit terrace under sheepskin rugs and blankets and enjoy a glass of mulled wine, a hot Buttered Rum or a warming bowl of soup, whilst watching the world go by. We can accommodate bookings (limited to 12 people in December) as we wish to ensure we can always offer impeccable service in a sophisticated, comfortable atmosphere. Whether you are looking for sustenance during a Christmas shopping trip or wishing to celebrate in style, Vino Vino is the perfect place to be!